1) Which country on 1 February 2015 appointed Justice K Sripavan, an ethnic-Tamil, its new Chief Justice? 2) Which private airlines co-owner Kal Airways recently decided to sell and transfer their entire holding of 58.46 per cent in the airline to co-founder Ajay Singh? 3) Australia recently won the cricket tri-series title involving England and India. Who was named Man of the Series? 4) PETA -an international animal rights and conservation group -and the Bannerghatta Biological Park in which state, have joined hands to create India's first `fenced' elephant sanctuary in a forested space? 5) 17th edition of Bharat Rang Mahotsav known as Asia’s biggest theatre festival was recently began at? 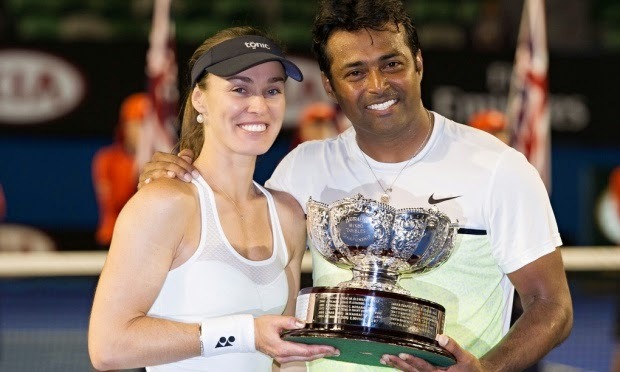 6) Leander Paes along with whom recently won the Australian Open 2015 mixed doubles title? 7) Lydia Ko recently became the youngest world number one in golf history by reaching the top of the women’s ranking. She is from which country? 8) Second Phase of JNNURM Project is set to be named after which former Prime Minister of India as reports suggested recently? 9) IRCTC recently announced plans to offer cash-on-delivery (CoD) option for railway tickets booked online in association with which entity? 10) World wetland day (WWD) was observed every year on?